“If She Walked into My Life Again” came onto the radio. My friend’spreviously opaque face had become flush with emotion and I almost didn’t recognize him. He raised his hand, as if in a silent request. He closed his eyes, and his head dropped slightly to the right. It was clear that he had left his 82-year-old body behind and was returning to a memory, the raw power of which was palpable. Everyone present knew it was time to be quiet. In my silence, I began to wonder about his life choices and his regrets. And what causes people to make regrettable choices and what makes good choices possible? I kept thinking about how it all leads back to the unconscious. Although I feel in control when I have my hands on the steering wheel, I believe that it is my unconscious that actually makes the turns. The task then, of a fully conscious person, is to uncover those unconscious motivations so that fully informed choices are possible. For example, a woman who is sure that her partner will eventually abandon her begins to create the conflict. Unconsciously, her belief will cause her to behave in such a way that she undermines the very relationship that she wants to preserve. Years later, she might regret the loss of this relationship. But until those latent beliefs are raised from her unconscious, then challenged, and ultimately changed, she will keep repeating this scenario again and again. 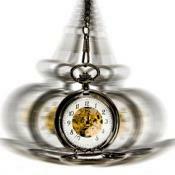 Using hypnotherapy can be a rapid way to get at unconscious material. For those who are ready, realizations and insights can come quickly. Without distractions, in a deep state of relaxation, many people can access the roots of troubling patterns in their lives. In my experience, some type of unprocessed trauma is at the root of many of the injuries and distortions that are held in the unconscious. But not everyone will benefit equally. Hypnotherapy can take people several levels below their current levels of consciousness and awareness. Someone who is already insightful and aware may have startling revelations, while someone who is highly guarded may gain some insight but fail to appreciate the implications of those insights. Other times, someone is motivated to remain blind to the truth. For example, it is often very difficult for a child to feel anger toward a nonprotective but loving parent. Especially in a home where love is scarce, children will often feel grateful toward the loving parent, even if that parent failed to protect them from an abusive parent. The problem with the unconscious is that it presents a catch-22. How can you become aware of what, by definition, you are unaware of? In a word: deliberately. It is a journey of exploration and one of deciphering oblique clues. Meditation is an excellent beginning. By learning to still or slow your thoughts, you will become more aware of the content of those thoughts. And once you can see the thoughts that are running through your mind, you can begin to identify the unconscious motivations that helped put them there. 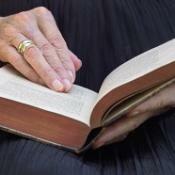 Certain religious practices, psychotherapy, and hypnotherapy can also unlock revealing secrets of the subconscious. With so many possible life choices, some regret seems inevitable. But for those who are willing to brave the journey into the unconscious, the chances of regret are lessened. When the invisible and mysterious forces of the unconscious are illuminated, the result will be a life that can be reviewed with more pride and less regret. As for my old friend, I never did ask him where he went or what memories he revisited. It seemed a private sanctuary and I felt that I had no place there. Wherever he went, he came back looking invigorated and more alive than he did before. I could not detect one trace of regret. May we all be as fortunate in our old age. © Copyright 2009 by Michael Etts, LMSW, ACH, therapist in Glen Cove, New York. All Rights Reserved. Permission to publish granted to GoodTherapy.org. Does Hypnosis Work for Mental Health Issues? Ah the unconscious mind. It really can be beyond our control. past things that stay with us, even when we think we have forgotton, still haunt and affect our lives long after the fact. Like that woman who continues to ruin her relationships, not even realizing what she’s doing. It’s a perfect example that so many people deal with. That was a great read, Michael. Thank you for sharing that. When you spoke of the woman I thought about how much of a self-fulfilling prophecy. I have a friend who has a man that loves her dearly and this exuberant, fascinating woman cannot see why. Her outward appearance would never give that away too. I worry she’ll do that very thing and chase him away with her neediness. Connect with your unconscious and regain your personal power. I used to visit an old neighbor in a nursing home and it was amazing to see her features literally change when she talked about her late husband. She was devoted to him. It was as if she had a veil over her face the way it softened with love. I swear you could glimpse the young wife that was there before the wrinkles.